Pamper your skin with this Clean & Treat set from Lab Series. Ensuring for the ultimate source of moisture and hydration whilst cleansing away impurities and dirt. 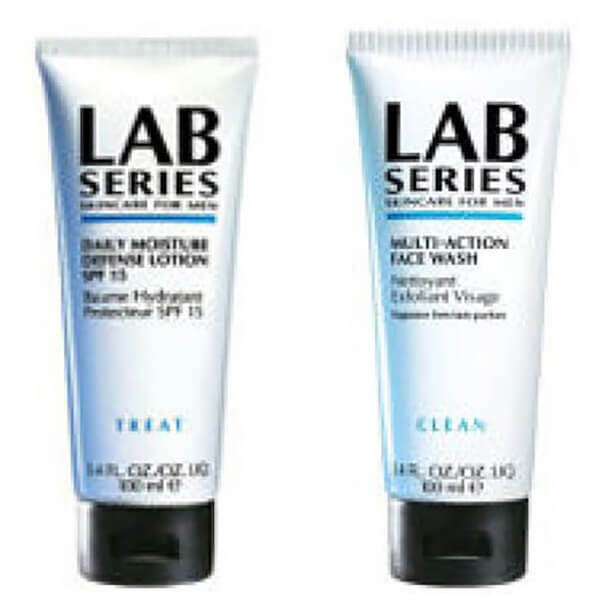 Daily Moisture Defence Lotion SPF15 - This Defence Lotion provides high levels of hydration that last all day long, complete with sun and environmental pollutants protection for your skin. This lightweight lotion continuously hydrates and conditions skin, utilising anti-oxidants to prevent signs of ageing, to give you fresher, smoother and healthier looking skin, for a youthful glow. Multi-Action Face Wash - This Multi Action Face Wash offers a luxurious super-foaming cleanser to wash away the impurities and dirt built up during the day. Gentle exfoliating beads buff your skin and help remove dead skin cells and debris to revitalise dry, dull or ashy skin. Leaves your complexion clear and radiant after every use. This face wash works with normal and dry skin types to nourish and hydrate damaged areas to restore a beautiful complexion. 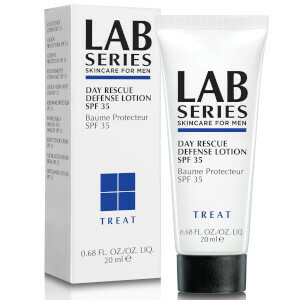 With a vitamin enriched formula designed to nourish and condition the skin, this is perfect for pre-shave preparation.